As of August 2015, seven brewers claim Cape Cod, Martha’s Vineyard, or Nantucket as their home, with Cape Cod Beer, Devil’s Purse Brewing, Cisco Brewers, Offshore Ale and Bad Martha Beer physically brewing on the Cape and Islands. Given the tumultuous times we’re living in, it should come as no surprise that America’s love of beer is on the rise. According to the Brewers Association, a trade organization with a mission of promoting and protecting American craft brewers, the amount of operating breweries in the United States ballooned by 15 percent in 2015. That brings the number of beer makers in the country—at latest count—to 4,269, an all-time record that surpasses the previous high-water mark of 4,131, set in 1873. This sudden “cerveza surge” is due largely to the growing popularity of brewing craft beer, a renaissance that is sweeping across Cape Cod and the Islands like a summer thunderstorm. 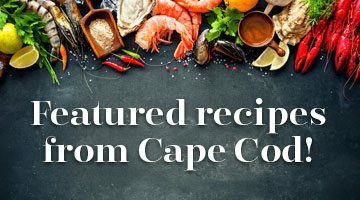 As of August 2015, seven brewers claim Cape Cod, Martha’s Vineyard, or Nantucket as their home, with Cape Cod Beer, Devil’s Purse Brewing, Cisco Brewers, Offshore Ale and Bad Martha Beer physically brewing on the Cape and Islands. Although Farmer Willie’s Alcoholic Ginger Beer and Naukabout Beer employ off-Cape contract brewers, the companies both have Cape Cod roots and are exploring the establishment of on-Cape breweries. In the following pages we highlight five of these local brewers, with interviews of company owners and staff who share stories about their love for their work and how their breweries came to be. Then, writer Joe O’Shea—who sampled a variety of selections from each company while researching this article—offers a sudsy suggestion for readers to try at each of the breweries.